The Empire/ Kingdom of Europa is both a Micronation and Prenation, not yet properly recognized but having the four declarative attributes of State. There are two sections below to this page on the Empire of Europa. History: The Empire of Europa is an Imperial Kingdom constituted by the Kingdom of Lithuania, the Grand Duchy of Latvia and the Principality of Moldova. The Kingdom of Lithuania (formerly Grand Duchy) comprises the Grand Duchies of Lithuania, Belarus and Ukraine, the three having been granted equal rank by King Roman. 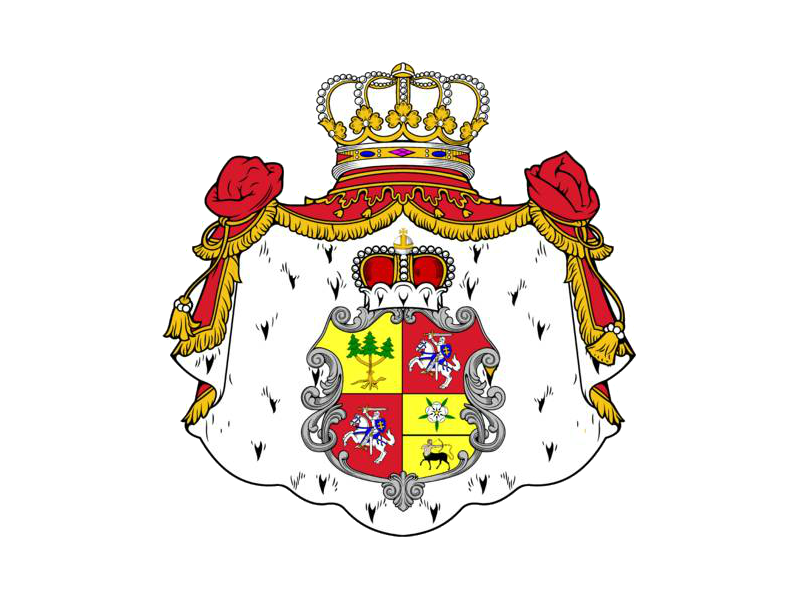 (The Grand Duchy of Latvia is approximately formed by the Duchies of Courland and Livonia). His Imperial Majesty King Roman originally inherited the Grand Duchy of Lithuania in 1967, when his father the hereditary Grand Duke Roman 1 died (22 November). In 1991, the Grand Duchy of Lithuania, which originally contained the territories of Lithuania, Belarus, and Ukraine, obtained independence from the Soviet Union, and ignored their joint royal history by becoming separate republics, thereby usurping the rightful royal heir. 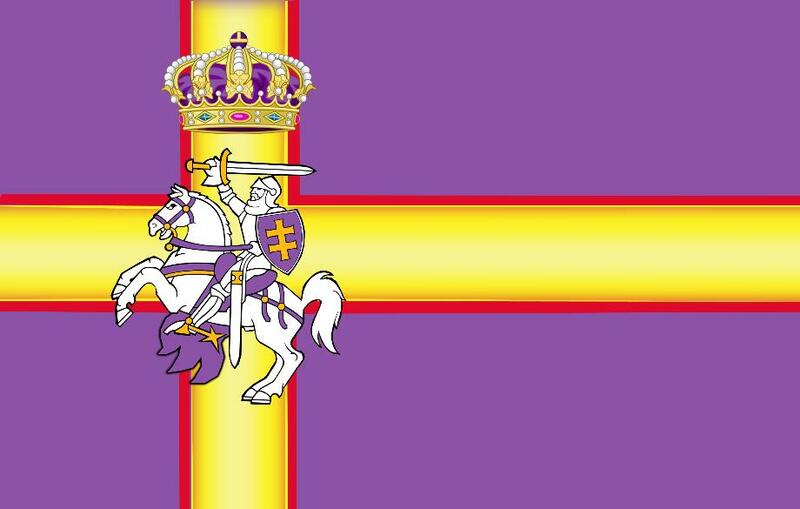 After failing over many years to get a fair hearing or respect from the leaders of those territories, King Roman of Lithuania created the Empire of Europa in 2005 by adding territories legally accruing to the Grand Duchy of Lithuania, namely the Principality of Moldova and the Grand Duchy of Latvia. King Roman now purports the Empire of Europa to be a "Micronation" (despite Europa's substantial size), because of the disrespect and indignity so inappropriately shown by established nations towards him and his Realm for many years. Their avoidance is a blatant contradiction of their legal obligations under International Law, which they are currently improperly and unjustly able to defy with impunity. This situation occurs because the United Nations as yet has no institution or royal court to mediate restoration of monarchy and require enforcement of resolutions. His Imperial Majesty's aim is to gain full recognition of his Realm and Monarchy, and to obtain establishment of a suitable world body to mediate on behalf of deposed monarchs to obtain the proper respect and dignity from world leaders, their return to full recognition, or alternatively to obtain proper restitution from the usurpers. "Under the constitutive theory of statehood, a nation is a nation if other states recognize it as such. (d) capacity to enter into relations with the other states." The Flag See top of page. The Empire was founded on May 24, 2005. The foundation was proclaimed by His Imperial Majesty King Roman 1, who resides at the Peace Palace, 124 7 Progress Drive, Coconut Grove NT 0810, Australia. Territory The Empire of Europa comprises all the territories of Lithuania, Belarus, Ukraine, Latvia and Moldova. All other claims to the Europan Realm are considered usurped and illegitimate. Currency The Euro is the official currency of the Europan Empire. Capital Darwin Australia is the temporary imperial capital. The Realm is ruled by the Emperor, His Imperial Majesty King Roman 1. The Emperor has a parliamentary cabinet of advisers, with Dr. Jason Smith as Prime Minister. The Parliament is at 925 Common Street, 905 New Orleans LA 70112, USA, and consists of the PM and all department heads. Defence Forces The Emperor is Supreme Commander of the military. The Premier is the Defence Forces' second in command, reporting directly to the Emperor. The Defence Forces consist of an imperial Army, Navy, and Airforce, to protect His Imperial Majesty, Government and Embassies. Goal His Imperial Majesty's aim is to gain full recognition of his Realm and Monarchy, and to obtain establishment of a suitable world body to mediate on behalf of deposed monarchs to obtain the proper respect and dignity from world leaders, their return to full recognition, or alternatively to obtain proper restitution from the usurpers.